It sounds like rhetoric from the tinfoil-hat chemtrail conspiracy community. 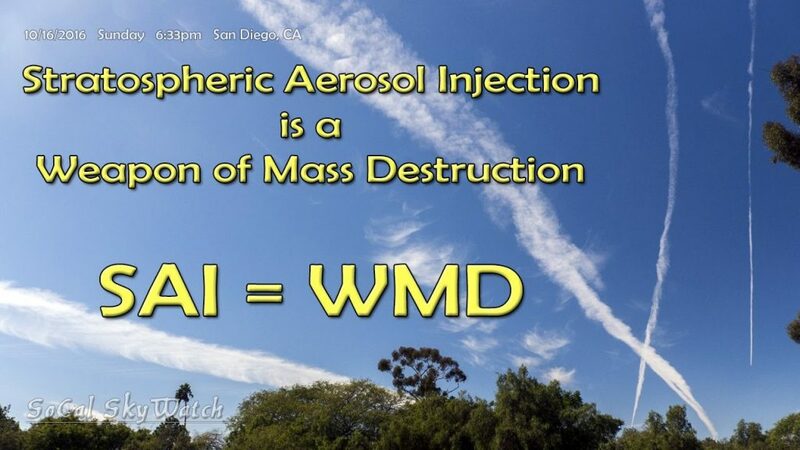 Large commercial airliners spraying sulfate microparticles into the stratosphere, anywhere from 8 to 30 miles high to help shield the Earth from sunlight to maintain lower temperatures. But that is actually what propose researchers from Harvard and Yale universities in a new publication. 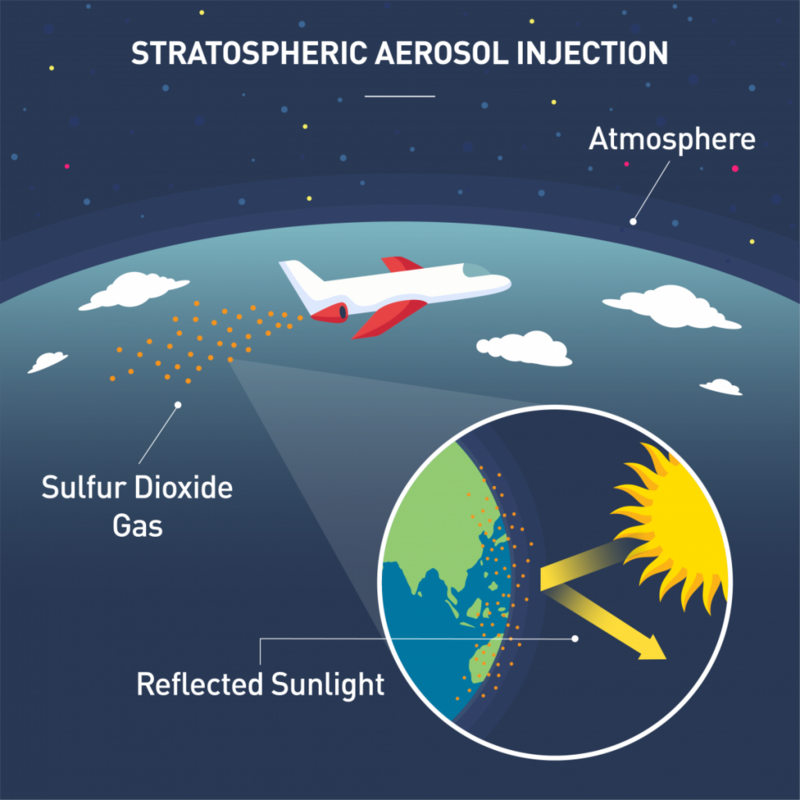 But, the resulting uneven distribution of particles through stratospheric aerosol injection could result in massive weather disruption. 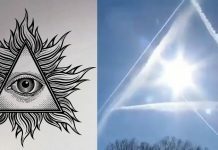 The report is one of the most in-depth and modern study yet of “stratospheric aerosol injection” (also known as “solar dimming” or “solar engineering” and or in the conspiracy community – “chemtrails”). Researchers examined how effective and expensive a solar geoengineering project would be beginning in the early 2030s. The goal of the program would be to diminish the temperature increase caused by heat-trapping greenhouse gases, sort of like the global cooling effects of volcanic eruptions. 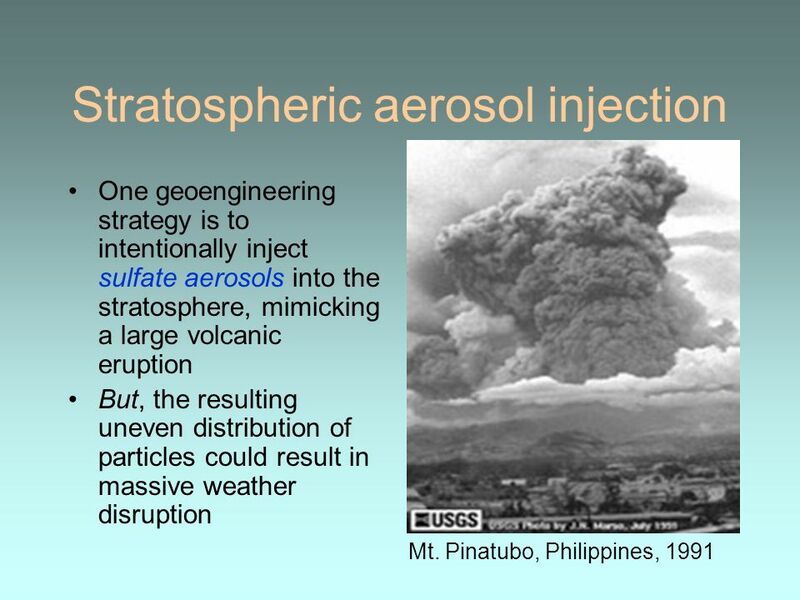 One geoengineering strategy is to intentionally inject sulfate aerosols into the stratosphere, mimicking a large volcanic eruption. Picture: Mt. Pinatubo, Philippines, 1991. 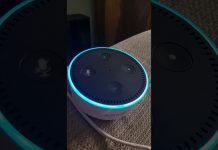 Researchers investigated what it would cost to develop an aircraft they call ‘SAI Lofter (SAIL)’. The report indicates the fuselage would have a stubby design and the wing area, as well as the thrust, would need to be twice as large. The estimated cost of the plane, a whopping $2 billion and $350 million to modify existing engines. Screwing with the mother nature might have unintended consequences and likely trigger a new set of cataclysms. Is that really new? What do you think about this new report in the chemtrail community? Sometimes I think that some people would want to turn entire Earth into dark, cold, gloomy polar desert. And actually this is how I imagine the NWO – dark, gray, monotonous cities-prisons in dark, cold, cloudy and rainy or icy world, with work over 12 hours per day, no weekends, no holidays, no summer, no forests, no animals etc. Someone may ask why elites would create such disgusting world, well, there are 2 main reasons: first – the most common and primitive reason – money. If the only plants and animals would be cultivated in the governmental greenhouses, they would have total control over the food distrubution and monopoly for selling it. Second reason I think there are enormous sadness and inferiority complexes – some leaders and scientists may be so sad and depressed that they just can`t stand that there could be freedom and happiness anywhere, so they want to destroy it and make world as depressive as they are. Just like frustrated teenagers who bully other people or animals to feel better for a while. Very curious indeed. The very same culprits that have been pushing the Global Warming/Climate Change agenda, have seemingly, legitimately, been busy through their Military surrogates, geoengineering our skies to block out the Sun. When all the while they have been fully aware of the fact that we have been slowly moving into an mini Ice Age. Since the nineteen seventies. Hence, their false Global Warming/Climate Change Agenda. They are infamous for getting us to look one way while the real problem is actually something completely “opposite” of what they are actively trying to convince us of. The Luceferian, NWO Cabal of uber elites, presently fighting for their very lives and power structure, have been up to no good against God & His Humanity, for too long to count. In their ongoing endeavors on behalf of their master satan. This is so very clear now. In the seventies there was a Time Magazine Article with the Scientists of that era in “utter panic” over the coming mini Ice Age. That again, we have recently been warned about. They were so panicked that they were recommending that they dump tons of Top Soil on the polar Ice Caps to supposedly solve the problem. They then went silent, until the eighties. When all of a sudden it was the exact opposite of what they had been previously warning us about. “There are no coincidences”. we’re all a bunch of cowards. we should find these people and slaughter them but we always wait for someone else to fix the problem……and so……….we………….DIE!!!!!!!!!! !